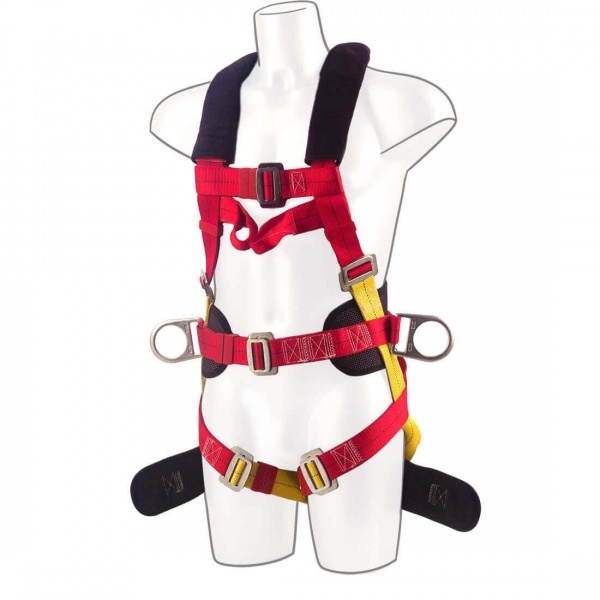 This universal harness incorporates all fall arrest and protection needs in one. Features include two chest loops, two side D-rings, sliding dorsal D-ring, two seating loops and two lower back rings. Fully adjustable with shoulder, back and seat padding for extra comfort.